Nike‘s traditional “Wolf Grey” color motif has been translated to Kyrie Irving’s first player model. 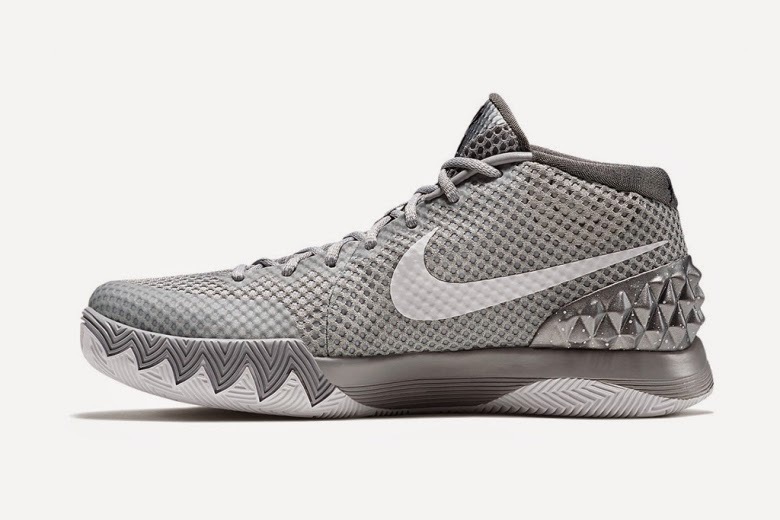 The Nike Kyrie 1 “Wolf Grey” sneaker sports an appealing, tonal grey body with flashes of white hits. A mesh upper rests above a grooved, grey midsole that gives way to a white bottom sole. Details include a metallic studded back heel layer, dotted with white speckles, and Kyrie’s handwritten signature and number laser printed along the inner tongue and the shoe’s back upper collar. Grab your pair when the kicks launch May 9 on Nike’s online store.